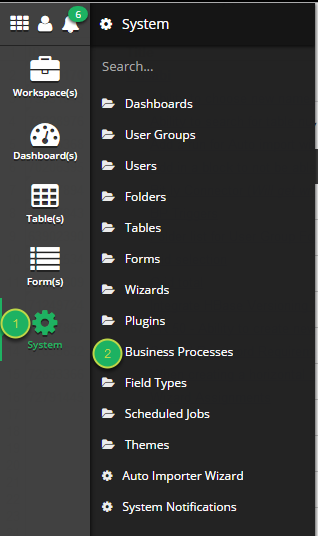 Documentation and SupportReleases Wasabi Release Notes 2016-01-20Business Processes triggers can now be set. 1. Open the 'Business Process' modal. 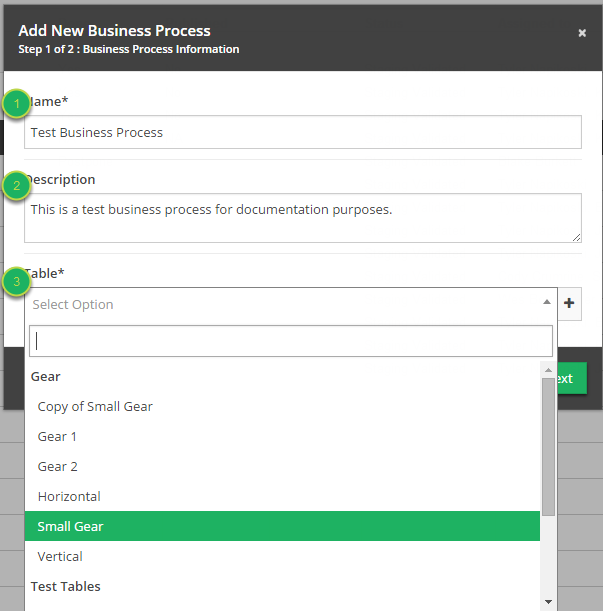 Open the 'Business Processes' System menu. 2. Click the 'Add New Business Process' button. This will open the 'Add New Business Process' modal. 3. Enter information into modal. Description: An explanation of the desired purpose of the Business Process. Table: Select the table that this Business Process will run on. 5. 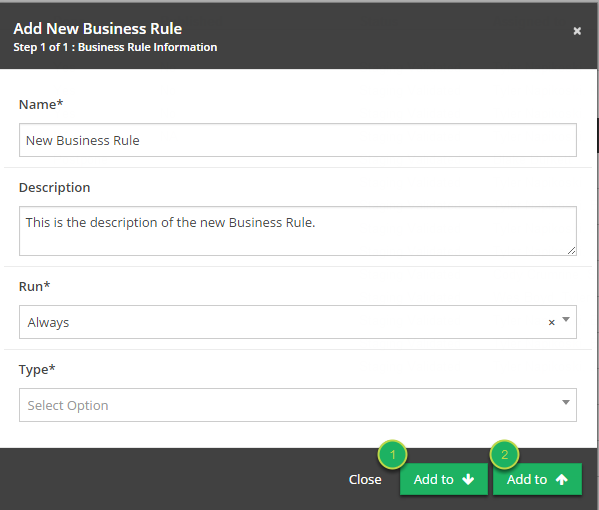 Click the 'Add Rule(s)' button to open the 'Add New Business Rule' modal. 6. Fill out information on modal. Name: The name of the new Business Rule. Description: An explanation of the desired purpose of the Business Rule. Run: Select whether the Business Rule should always run or run based on certain criteria. Type: Select the type of Business Rule. Table: If the 'Type' affects a table, select which table should be affected. 7. Click to add Business Rule to the Business Process. Add to Bottom: This button will add the new Business Rule to the bottom of the Business Process. Add to Top: This button will add the new Business Rule to the top of the Business Process. 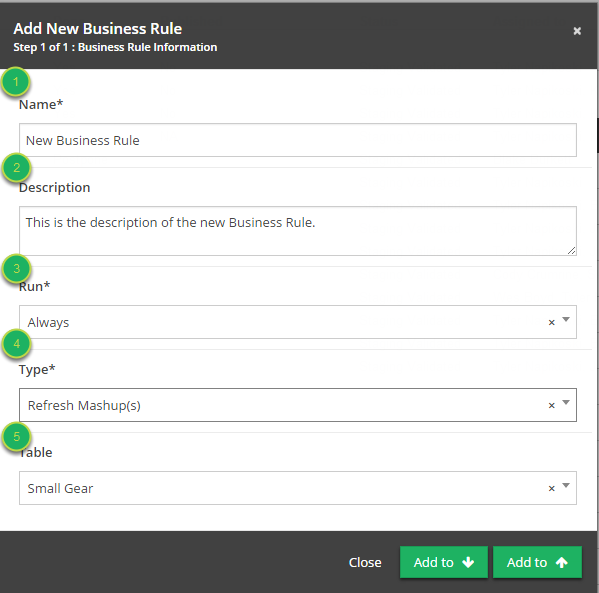 Notice that the Business Rule is now located in the Business Process list. 9. Click the plus button to add trigger(s). 10. 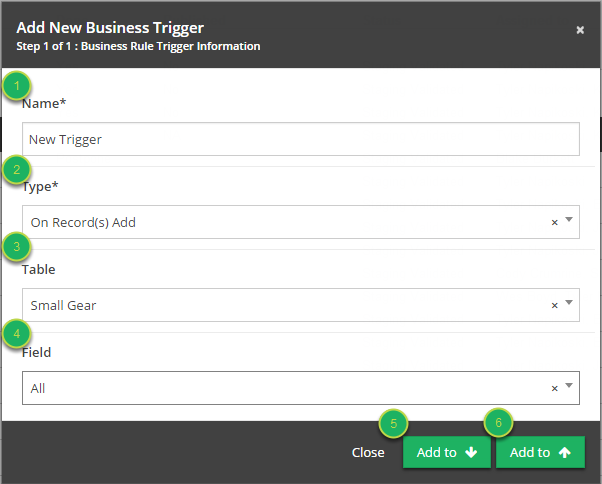 Fill out 'Add New Business Trigger' modal. Name: The name of the new Trigger. Type: Select the type of Trigger. 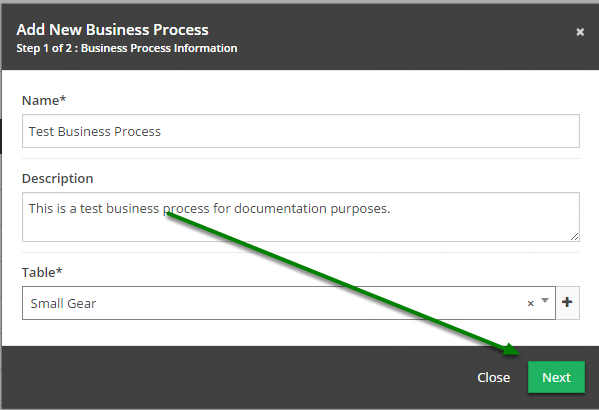 Table: Select the Table that the Business Process is triggered from. Field: Select the Field that the Business Process is triggered from. Add to Bottom: Add this Business Process Trigger to the bottom of the list. Add to Top: Add this Business Process Trigger to the top of the list. Your new Business Process is saved and will be triggered based on the criteria that you set up! Prev: Auto Importer Wizard now allows configuration without saving. 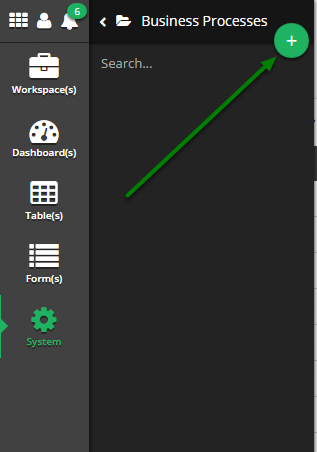 Next: It is now possible to highlight a column in Grid View, in addition to rows.